With report cards around the corner, the classroom stresses get a little more overwhelming. I’m definitely feeling it, as you can see from my desk this week! Anyone else feeling like this is your life right now? How would you love to have some nonfiction texts to help you out and save you time? 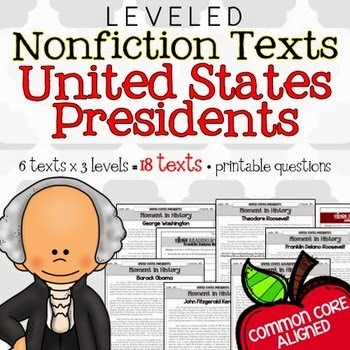 These Nonfiction Leveled texts are just what you need. Be sure to check out the amazing giveaway, below, sponsored by the adorably fab The Sweetest Thing! And of course, it’s time for our Monday Letters! Dear Bottle of Wine, Big Bang Theory, and Purple Pen, You’re about to make a daily presence in my life as report cards come tumbling up all too soon. Thank you for always being there for me as I grade 3,928 pieces of paper that I’ve procrastinated over for the past few weeks. Dear New Mac Book, WHYWHYWHY did I wait so long to make the switch to a Mac? 5 minutes in on my newest TpT product and there’s no going back!! Have you made the switch? What did you think? Tuesday Catch Up & Help Please!